A completely different twist from traditional coleslaw with it's goopy mayonnaise dressing, this dressing is a mixture of vinegar's, sugar, and spicy mustard yumminess. 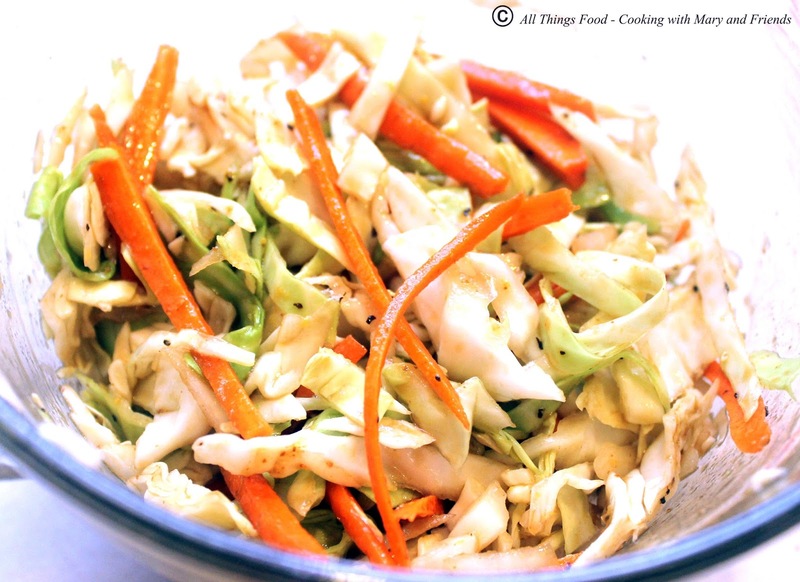 It is the perfect Cabbage Slaw Salad to serve anytime of the year and pairs really well with pulled pork or fried or grilled chicken. Combine the vinegar's, sugar, olive oil, spicy mustard, salt and pepper in a small saucepan and bring to a gentle rolling boil, stirring frequently until the sugar is dissolved. Place this mixture aside and allow to cool. 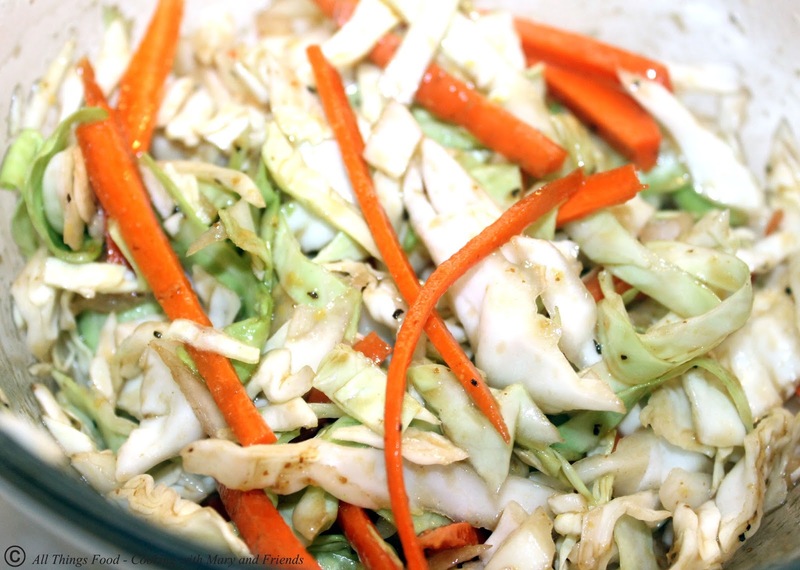 Pour the vinaigrette over the coleslaw veggies and place in the fridge to chill for several hours before serving. Really good with fried or grilled chicken or pulled pork.